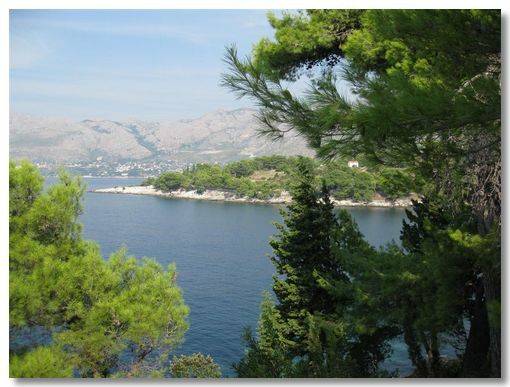 In September 2011 we had a relaxing walking holiday in Southern Croatia, centred round Dubrovnik. 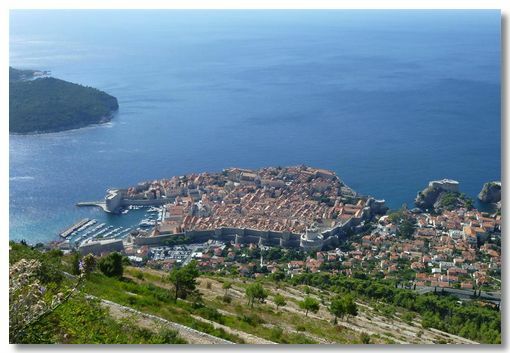 Dubrovnik is a charming fortified city with a small harbour, overlooked by Mount Srd. The old city is surrounded by imposing 15th century walls. Being born in Malta, it obviously reminded me of Valletta in many ways. 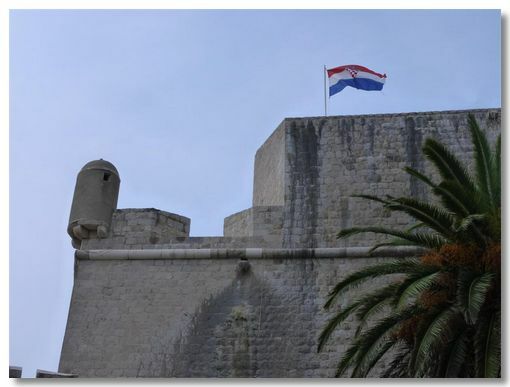 The following pages show photos of Dubrovnik as well as the main walks and islands we visited. 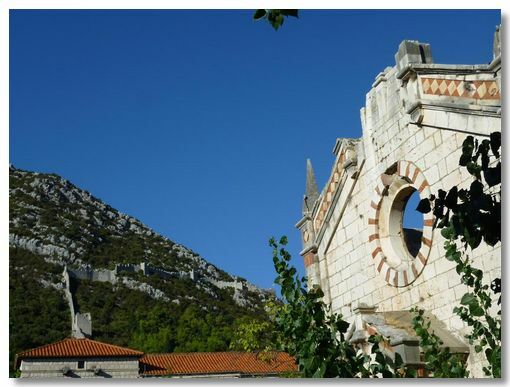 Photos of the City Views have been taken from the city walls and from the dominating Mount Srd. The City Sights photos show some of the main buildings as well as the older, domestic back alleys. 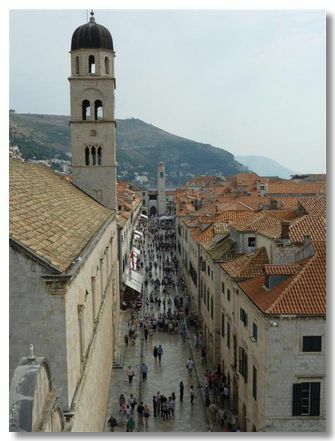 To Ann's delight, old Dubrovnik is a traffic-free city - you can see why, by the number of steep steps! 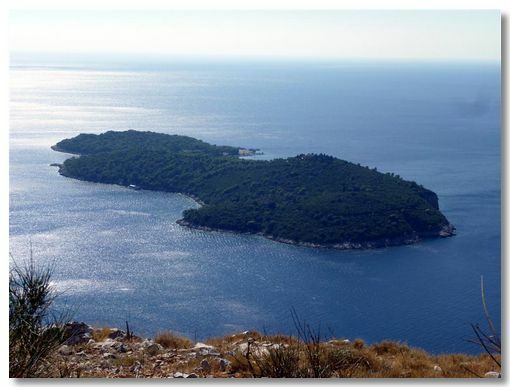 The various islands, such as Lokrum and the Elaphite Isles share a long maritime history with Dubrovnik. 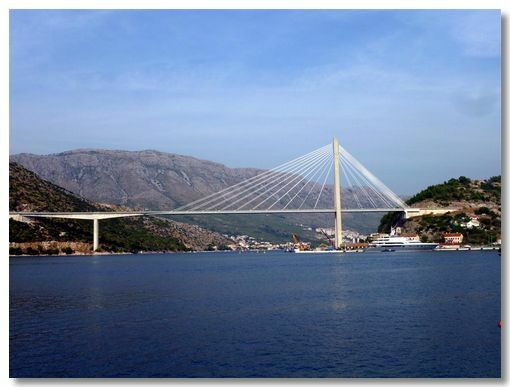 Traditionally Dubrovnik was always overshadowed by the other seafaring Adriatic state - Venice. In 1667 there was the Great Quake which destroyed or severely damaged every building in the city. The city was rebuilt in a Baroque style, retaining only a few of the earlier Gothic or Renaissance buildings. The city also suffered badly during the 1991-92 "Homelands War". However there has been considerable recent reconstruction; understandable when you realise that Tourism accounts for some 30% of the country's economy. 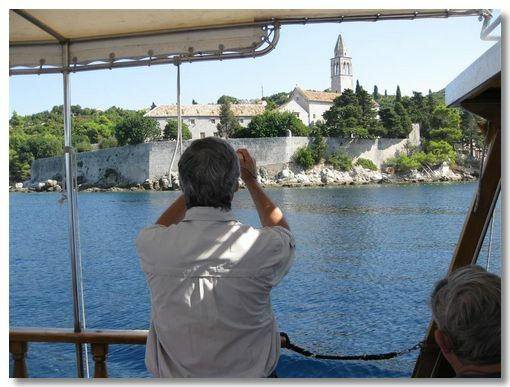 The holiday was with the Ramblers company who organised the guided walks and excursions. This was our first holiday with the Ramblers. We enjoyed it so much, we are sure we will be taking other holidays with them in the future. Also a big thanks to our enthusiastic guide, Jerry. A guide with many talents - from ornithology to neutrinos!